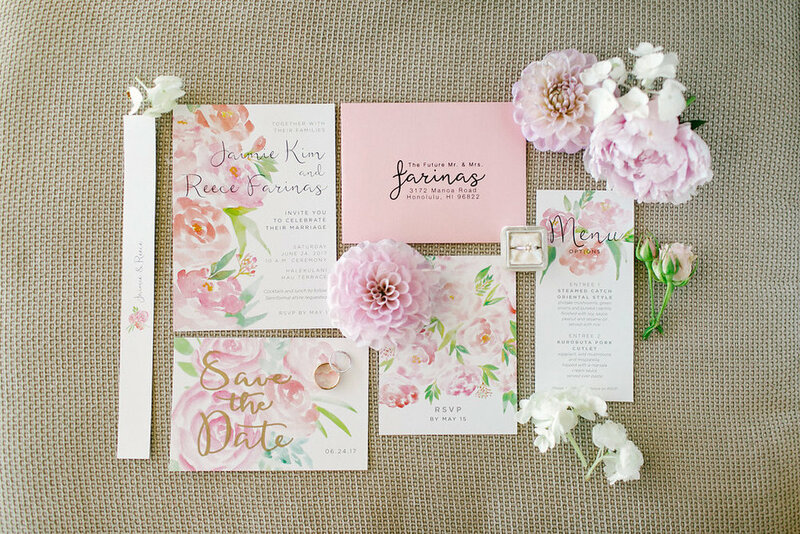 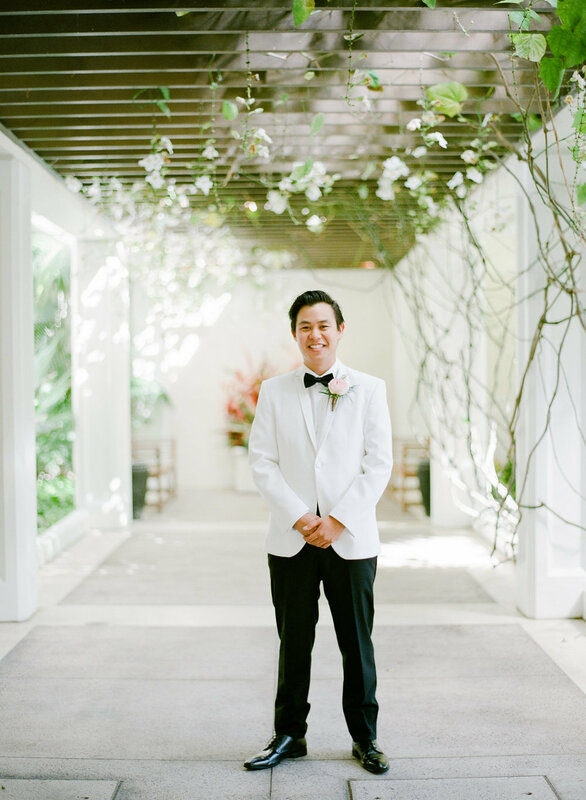 When the groom is a part of the Beretania Floral family, you know the wedding is going to be a floral dream! 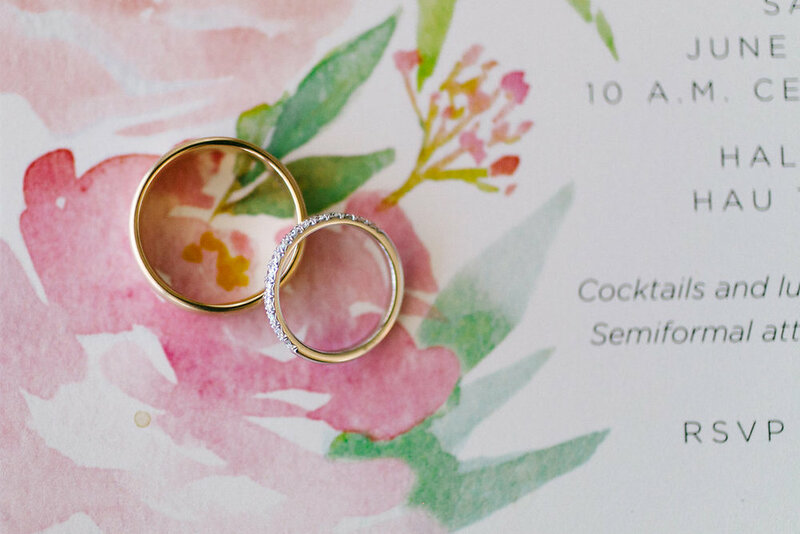 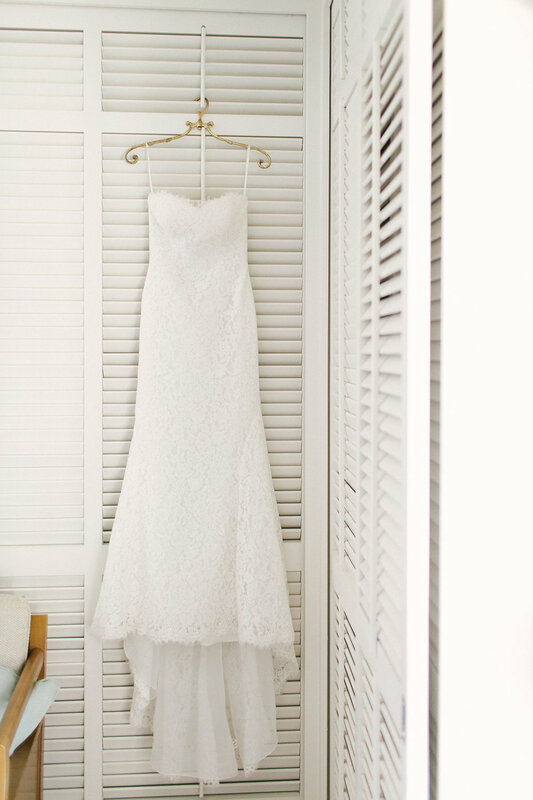 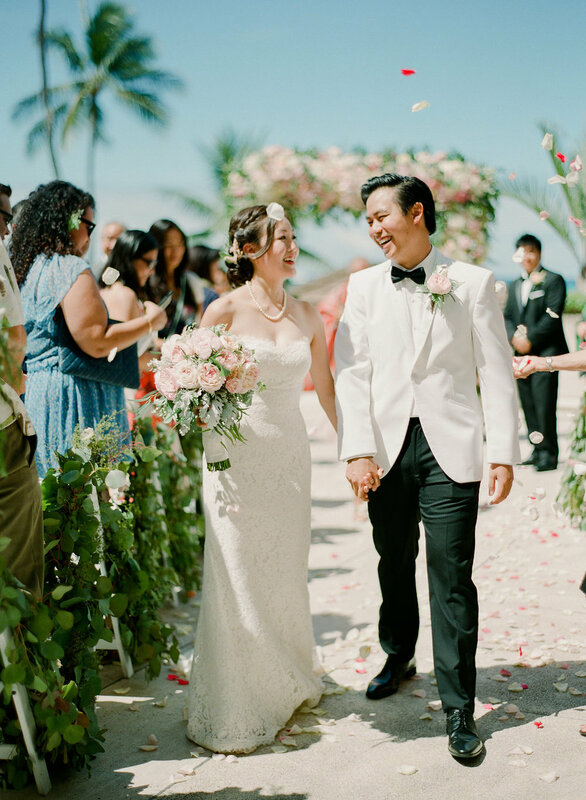 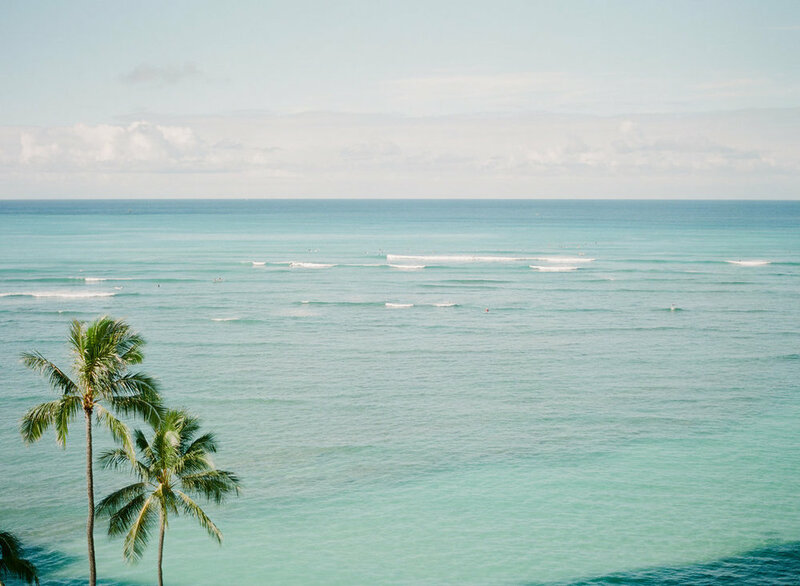 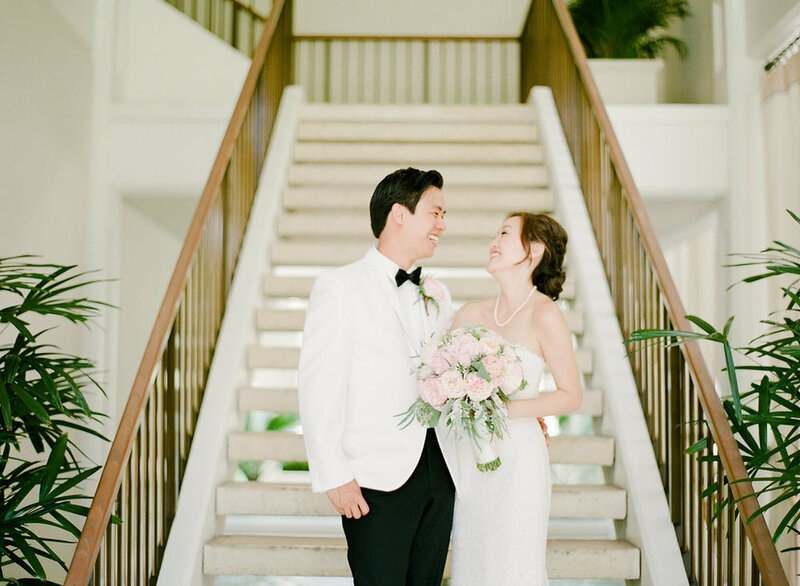 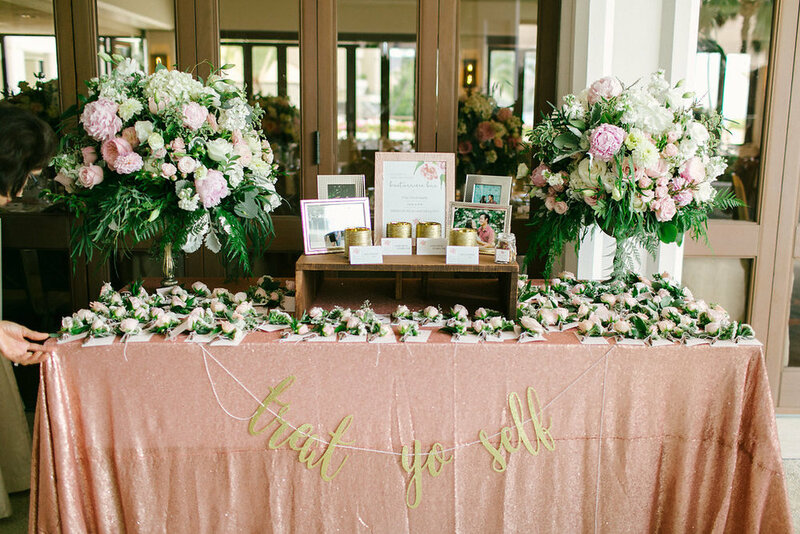 Jaimie + Reece were married at the Halekulani Hotel in Waikiki. 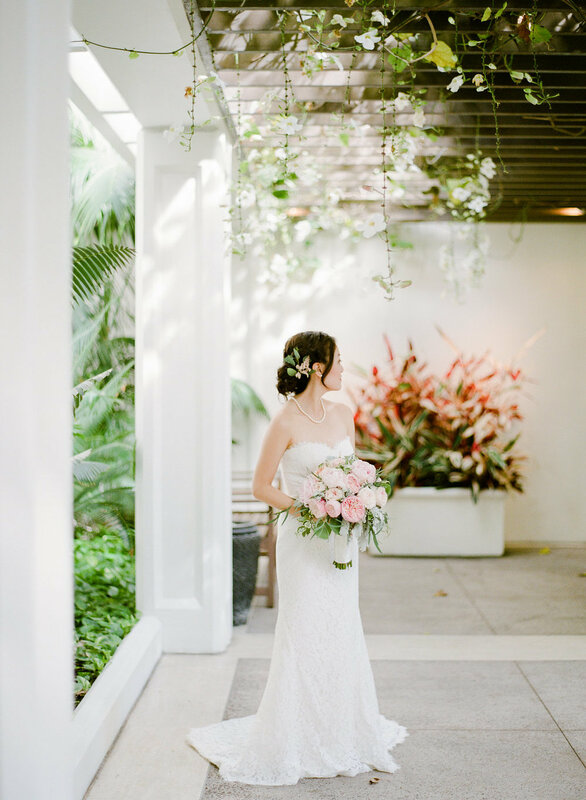 I loved the boutonniere bar they had for the guests as well as the amazing monstera leaf wall they created as a photo backdrop. 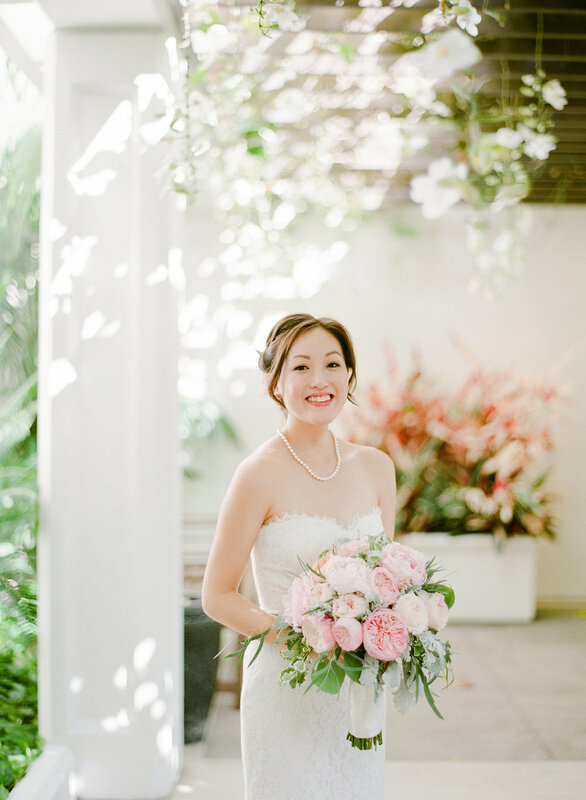 But my favorite thing about this wedding was that Reece hand created his bride's bouquet! 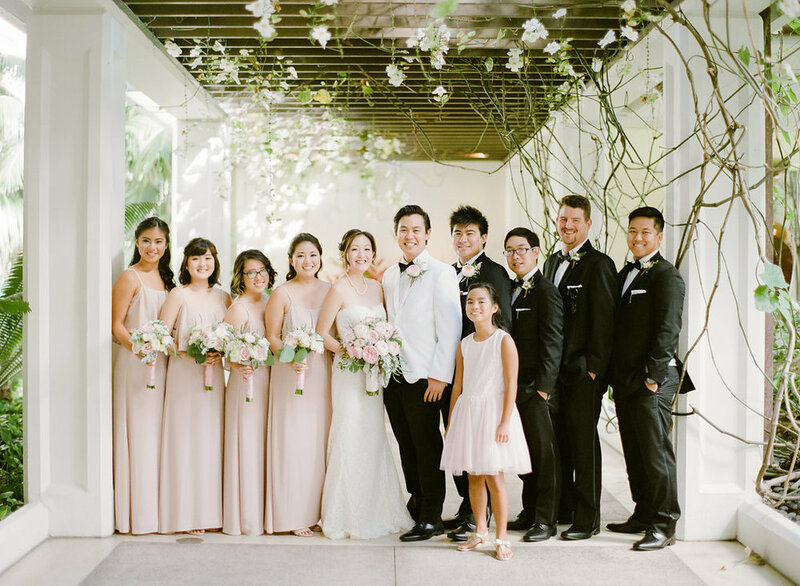 Congratulations Jaimie + Reece! 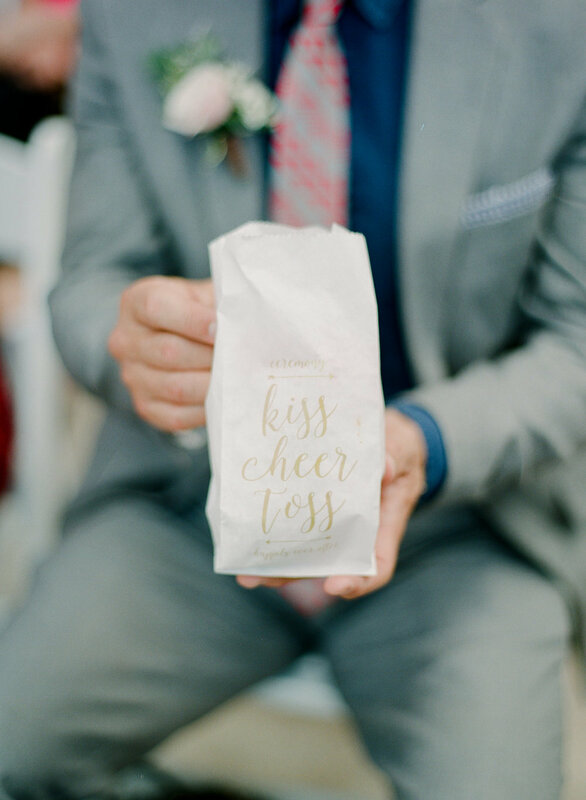 We loved being a part of your day!